This article was contributed by Jim. Jim was raised by Depression era parents and grew up around prepping skills long before they were called that. 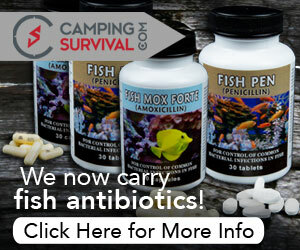 Today his focus is on natural health and healing, staying under the radar and sensible prepping. Currently he’s planning the construction of a sailing trimaran – to be used for bugging out ASAP. Bunches of gear reviews, homesteading primers and futuristic prognostications pass through the pages of various prepping websites and magazines. Many of them are credible and contain valuable information for those of us who believe that the status quo cannot remain so indefinitely. 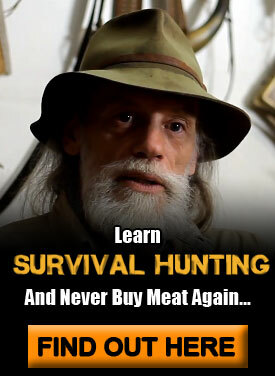 The prepper lifestyle is, in itself, a healthier than ‘normal’ why to live. But there is much that can be done to make it more so. Toward this end, I want to introduce you to a methodology that can increase your overall sense of wellbeing and health exponentially. And I’m not exaggerating. Energy Psychology is a broad range of techniques that spring from the ancient art and practice of acupuncture. While it’s true that there is little in the way of ‘scientific’ evidence to validate its effectiveness, that has begun to change. And the personal experiences of those who have and do practice the techniques offer hope that there is much that we can do to collectively shift the responsibility for our personal health and wellbeing back into our own hands. And in the process, away from the toxic environment of the medical/pharmaceutical industrial complex. The one specific technique that I’d like to introduce you to today is Emotional Freedom Techniques. And no, it doesn’t involve sticking needles into your body. Callahan had developed a modality he called ‘Thought Field Therapy’ and was experiencing results that were uncommon in the field of psychology at that time. His technique was complicated and required the participation of a practitioner along with the person being treated. What Craig did was to simplify Callahan’s process, make it user friendly, easy to learn – and free to all who wanted to learn it. For as long as I can remember, I’ve experienced gut related issues. Most notable among them, pain. I called them Big Pains and it got to the point where I was experiencing them for as long as 48 hours at a stretch as often as twice a month. The pain was so bad that I was planning what I would do when it became unbearable. Note that I wrote when, not if. I’ve never had much confidence in what passes for modern medicine and had had an interest in acupressure from the moment I first heard of it. One evening, while researching alternative healing methods, I stumbled across a reference to EFT. It didn’t strike me as being all that promising but ‘something’ did convince me to print out abbreviated instructions and start tapping on my 5km walk back home. Something clicked, for the next day I returned to the cyber cafe, printed out the entire manual and had it bound. Then read, studied and began practicing it daily. Seven months later I experienced my last Big Pain. And that’s been over 10 years ago now. And my life has continues to improve. In ways that I wouldn’t have thought would have unfolded in the way that they have. I continue to practice the technique daily and believe that if the government and the pharmaceutical industry knew of its effectiveness, it would be illegal. There is little I can do to coerce you into giving EFT a try. Other than recount my personal experience with the technique. How about a video…? 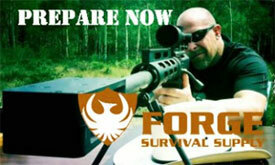 Gary Craig put this together himself when EFT was still in its infancy. It inspired me then and continues to do so every time I watch it. Since its inception many others have jumped on the EFT bandwagon. Some have even added value to it. But Craig is still at the forefront of the movement and is continually working to improve delivery and effectiveness. And in my opinion he’s still the go to source to get started. Prepping has become an industry. And it’s oh so easy to get into the mindset that if I just purchase this tool or invest in that resource, then all will work out in the long run. My contention is that we are each our own most valuable tool and resource. And while I’m sure that there are ‘things’ that can be bought to increase our own individual reliance factor, we each came into this plane of existence without money. And when we leave we won’t be taking any of it with us. Having access to financial reserves may put a person in a position to endure difficult situations more comfortably than most others. For awhile. Maybe. But in the long run you will be your own best asset. Insight, intuition, health and your personal character will prove to be of invaluable worth. And these are the assets that EFT and other forms of energy psychology help to engender. 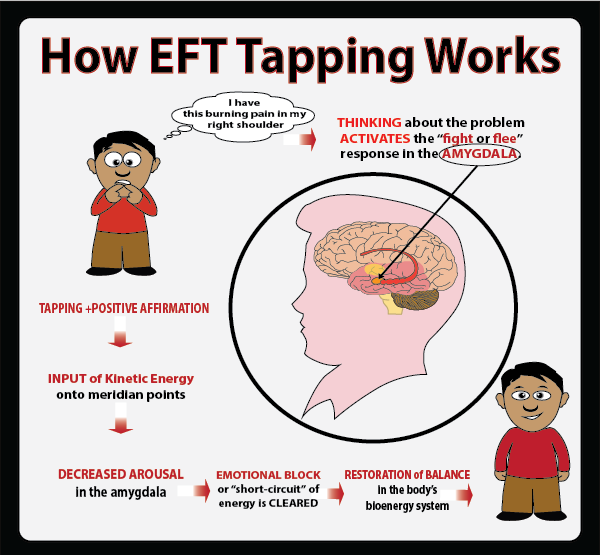 Why not give EFT a try? Nothing ventured, nothing gained.